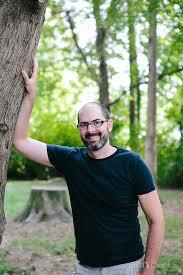 Join the Decatur Active Living Pedestrian Advisory Committee for a Third Sunday Stroll with Jonah McDonald. Jonah is a storyteller, author and adventure hiking guide. He will be leading a hike this Sunday from the Decatur Recreation Center (231 Sycamore Street) to a loop in the Decatur Cemetery. This 2.5-mile hike is free and open to the public. Just show up at two and walk with Jonah! He’ll be talking some about the history, showing you an area of the cemetery you may not have seen before, and pointing out some champion trees. Jonah is the author of Hiking Georgia’s Hidden Forests. For more information on Jonah click here.